Having a secure HTTPS connection used to be a feature you'd see for example on banking web sites, where the need to address security issues was much higher. However, as of late, this has changed quite a bit. Part of it likely has to do with browser vendors. In the last couple of years they've begun to make a point of warning you whenever you're doing something that might not be secure. Which is a good thing. How this is usually done is by showing you (i) an icon implying that your connectiong is 'wrong' and 'insecure'. In reality, having SSL might not even be such a big deal if you don't even use forms, don't handle eny passwords or such. However, even in those cases, the browser will tell you that the site is insecure. Just to make things clear, we are not talking about the so-called "green bar" here (aka Extended Validation SSL Certificates). For one of those you'll need to dish out $300 or more. So if what you're looking is how to set that up, this blog post won't be of much help. If you just want (i) to go away and to have something like this you are on the right page. https://letsencrypt.org/ is a nonprofit Certificate Authority. For the purposes of this post, I will assume you're running Ubuntu 14.04.4 LTS server managed with AWS OpsWorks. 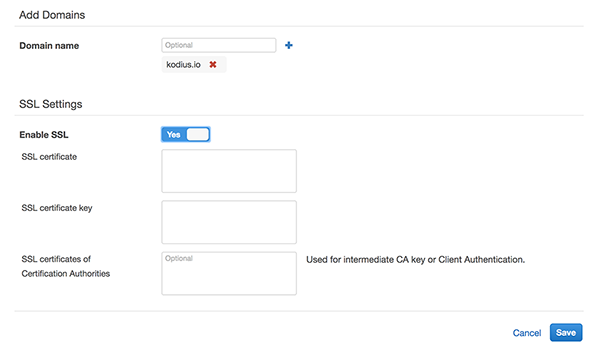 In this example I'll be adding an SSL certificate for the "kodius.io" domain. After executing the previous command, a certificate will be generated inside of the /etc/letsencrypt/live folder. Congrats! If you are not using a Ubuntu/Nginx setup, then you should check out the proper command sequence here https://certbot.eff.org/. ==This works great, however, it requires you to manually copy/paste keys to SSL certificate input text areas.== While this might not be such a big deal to do once in a while, Let's Encrypt certificates actually run out after a mere 90 days. You might not want to do that manually. 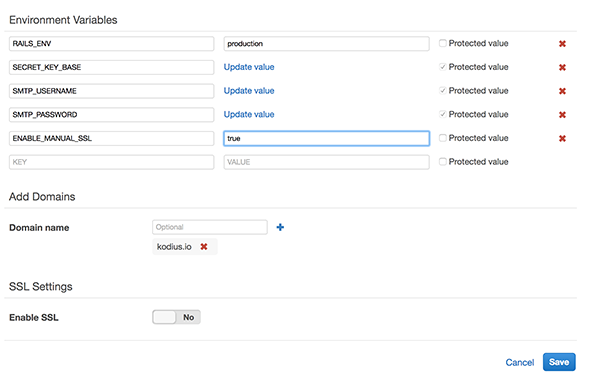 Instead we'll build a custom chef script to enable SSL while the application is being deployed. We will also add a cron job to automatically extend the certificate's validity meaning we'll never have to think twice about whether our certificate is gonna run out. The recipe is available here https://github.com/kodius/kodius-chef-recipes. If you are unfamiliar on how to setup a custom chef recipe on AWS OpsWorks, the setup steps are listed over here. In order to make this work you'll have to enable the "SSL" part of the recipe for setting up our nginx configuration (this part is not mandatory, so whether you want to do it or not, it's up to you).